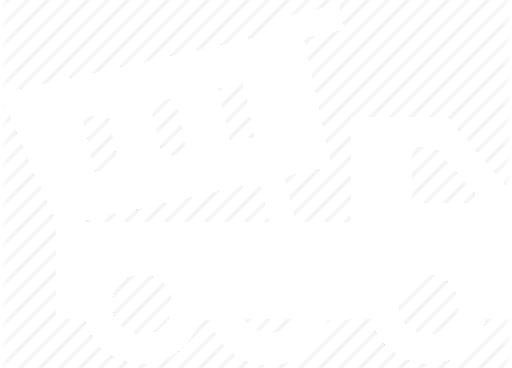 Jo Beau presents an exclusive stumpgrinder to the public again! 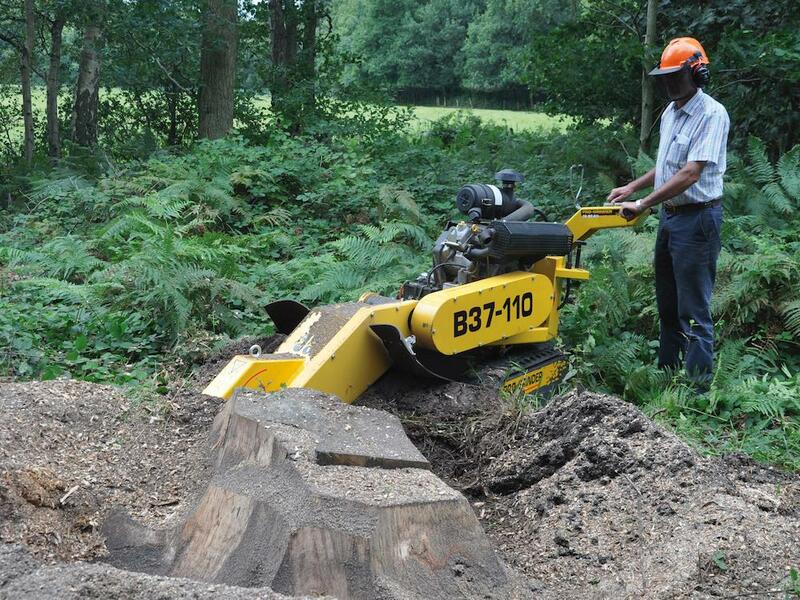 With the B37-110 fully automatic (yes you read it right) stump grinder, equipped with a 37 HP injection petrol engine (EFI) and wide tracks, you get a unique machine to add to your stable. With a total width of 29 Inches and a total working width of 43.31 Inches, you can grind the stump away in no time. The machine 'automatically' moves over the stump left and right and depending on the hardness of the stump, the operator can choose to automatically lower the grind disc 2.5 cm (1 Inch) both left and right! This makes the working speed unmatched on any other device in its category! 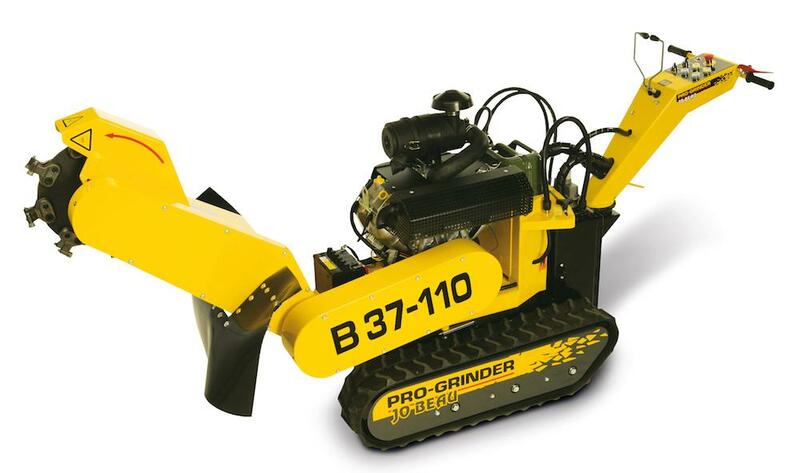 The B37-110 is the second generation fully automatic stumpgrinder after the B31-110, which has been on the market for 12 years and has been tested by hundreds of users in very difficult conditions. You choose double work speed, flexibility, agility, ergonomics and take the device effortlessly through rough terrain and ditches. The specially developed 'GrinDisc™', equipped with 12 Greenteeth 900-series grindteeth, gives the stump grinder extra power for even better results.